These prices listed below are general and do not cover every possible web service needed. FREE estimates are given for your specific needs. Contact us today. Current Website SEO Evaluation » FREE! A visual inspection of an existing website’s source code, meta tags, navigation structure, updates and content to create awareness of any obvious errors and missed SEO opportunities. This is not a complete SEO evaluation which includes off-page optimization and back links, however obvious findings are disclosed along with a free comprehensive suggested plan to correct. Setup and initial training FREE with new website or website redesign. Call for estimate of fees if only needing Google Analytics installed on your existing website and no other services. Standard WordPress Website with Unlimited Pages » Beginning at $1,900, requires 50% deposit. Most websites fall under this category however every site plan is analyzed and a price is quoted before work commences. This is because there are so many options available and not every website is the same. Great option for small business start-ups looking for new web exposure and need time to grow. This package includes using WordPress as a Content Management System (CMS) website and everything needed to have an online presence with Search Engine Optimization built right in. Custom WordPress theme design to your liking. One-on-one personal consultations via screenshare and phone meetings with your designer. No in-person meetings ever required unless requested. Google Analytics setup and installed. Website Forms such as “Contact” email forms and many others. On-page SEO and competitor analysis. Unlimited email accounts with your domain name. Security and anti-spam measures installed. Video tutorials to show you how to administer to your new website. Three months of free personal support after your website is launched. 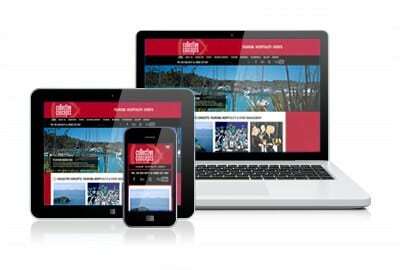 6×6 Design’s Website Hosting » Beginning at $26.40 a month. 6×6 Design uses WiredTree.com’s new and very powerful dedicated server plan to host our own websites as well as yours. Includes 24/7, 365/yr. live support and nightly website backups. Dedicated IP addresses are available at an additional cost of $12 per month. Does not include cost of SSL security certificates if needed. e-Commerce Website » Beginning at $2,900, requires 50% deposit or a 1/3 deposit. Great option for most small through large sized businesses who have several product or service categories to market and want an online store with a shopping cart, checkout system and a merchant account attached for online payments. This package includes using WordPress as a Content Management System (CMS) website and everything needed to have an online presence with Search Engine Optimization built right in. eCommerce can be a stand-alone store separate from WordPress or integrated within WordPress. This will depend on the type of products sold, the quantity of products and categories and shopping cart needs. We will help you determine what is best suited at no cost. Logo Design » Starts at $99. Do you need a logo? We can create one for you as well as provide you with all of the necessary files sizes for other offline marketing uses. Personal Consultation Hourly Rate » $75 per hour. NOTE: A signed Services Agreement by both parties is required along with a deposit before any work begins. These prices are subject to change at any time unless they are already agreed upon in a proposal or a written agreement between both parties. You already know you need a website, but you might just need some, or a lot of personal hand-holding. No worries! We’ve helped hundreds of clients on a one-to-one basis realize their website plans. In fact when you call, you’re most likely to get John Kelly – the owner – on the phone every time. We do this every day and understand the importance of proper planning. After all, it’s in our best interest to make you successful. We can take you step-by-step to ensure you know your investment was spent wisely with a trusted resource. 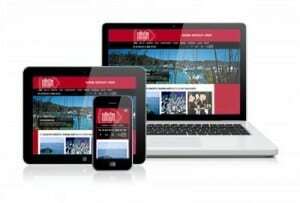 6×6 Design’s web service offers a low cost, simple to use Content Management System website for businesses. We also provide one-on-one training and tutorial videos to use your new website too. We provide personalized attention to detail, long term results, and top quality web design to be multi-browser compliant and optimized for search engines.